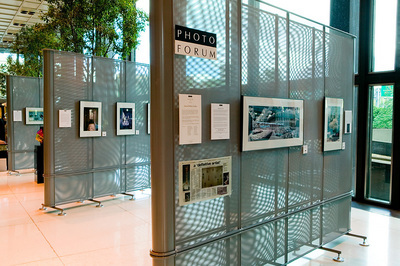 The Photo Forum Gallery at U.S. Steel Tower has expanded on the spectrum of the gallery to include photography, painting, printmaking, and sculpture. Often the exhibits are coordinated with local arts organizations. Since 1993, the Gallery at U.S. Steel Tower has been treating tenants and visitors to some of the finest displays of art in the region. Owner Eric Mendelson of the Photo Forum Gallery in Shadyside has exhibited local, national, and internationally recognized artists, as well as coordinating shows with other arts organizations in the area. For 20 years, major exhibitions have been shown in the upper lobby giving thousands of visitors an opportunity to view and experience the Art of Photography and many local artists of exceptional talent..